The trip between my house and the Knitted Wit Studio takes me down a small part of Fremont Street in NE Portland. I’m only on the street for a short period of time, but it’s one that holds a special place in my Portland-y heart. Once upon a time, I spent free time on Fremont Street. In fact, I discovered salt bagels on Fremont Street (oh, salt bagels!) 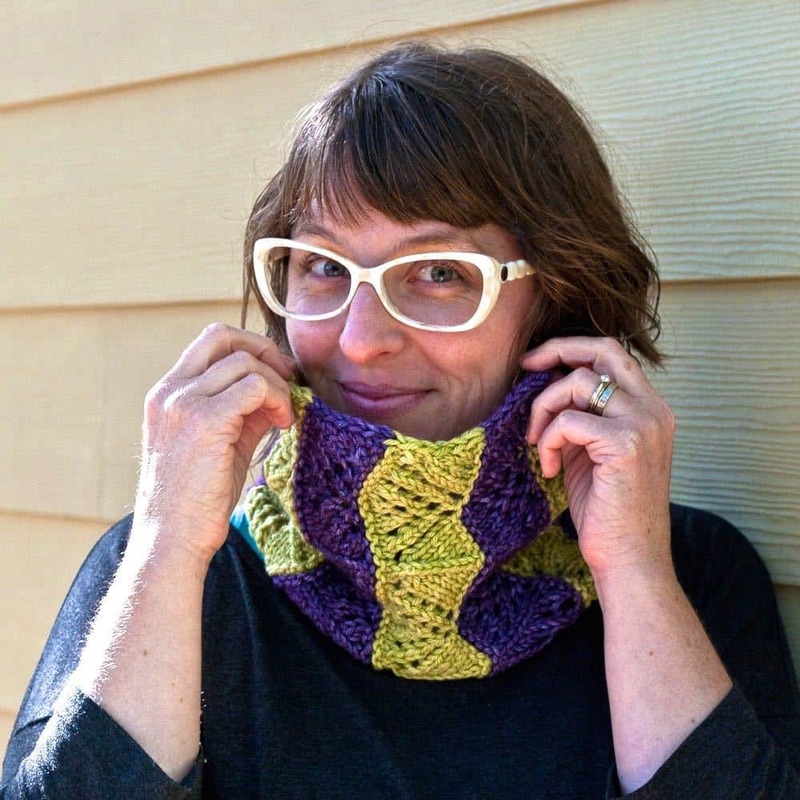 The lace pattern on the Fremont Cowl is interesting and has a rhythm to it. TV knitting with a twist. 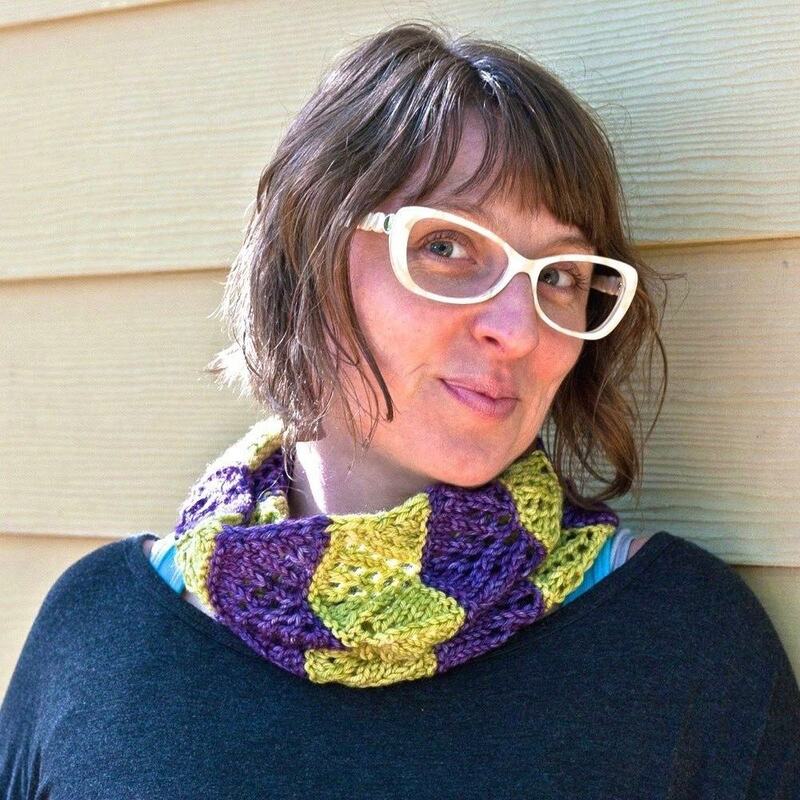 The yarn is truly fabulous to work with – soft, drapy, lofty. Finished Measurements: Single loop (double loop) circumference: 22” (52”). Both sizes: 9” wide. Measured after blocking. Yarn: approximately 180 (400) yards worsted-weight yarn total, split evenly between two colors. I used Knitted Wit Superwash Worsted, colorways Pistachio (color A) and Italian Plum (color B). Needles: US9/5.5mm circular needle for small-circumference knitting, or size needed to get gauge.